Creature Candy has just donated over £300 to the People’s Trust for Endangered Species, as a result of our customers and stockists support. On behalf of PTES we’d like to say a big thank you, as this money goes towards important research and conservation efforts to help stop the decline of many of our wild animals. Creature Candy donates 10% of every sale of its hedgehog, dormouse and mountain hare products to PTES, so we’d like to tell you more about why this money is important and how it is used. The hedgehog population is rapidly declining. A few years ago, the PTES mammal surveys revealed that since 2000, hedgehogs in Britain were declining at the same rate as tigers worldwide. In our countryside hedgehogs are losing precious hedgerows, field margins and woodlands. Intensive farming methods and pesticides used destroy hedgehogs’ natural habitat and kill off the insects they eat. In cities and towns gardens are increasingly fenced off and driveways paved over - hedgehogs struggle to get from garden to garden to find food and mates, and face increasingly busy and dangerous roads. PTES are carrying out lots of research, practical action and raising awareness to help hedgehogs. They run Hedgehog Street, with the British Hedgehog Preservation Society, which encourages the public to become hedgehog champions, make hedgehog holes in their gardens and create hedgehog friendly neighbourhoods. They now have over 60,000 hedgehog champions. PTES are carrying out research to understand the decline of both urban and rural hedgehogs. They are looking at new ways to survey hedgehogs, seeing if they use road tunnels to cross roads, what their relationship is with badgers, how farming and farming practices are affecting them, and which hedgehog houses they might prefer. They are also working with farmers so they can make their land more hedgehog friendly, and working with developers to encourage them to make new housing developments more friendly for hedgehogs. Find out more about hedgehog research here. Hazel dormice were once common, but now they’re hanging on mostly in the southern parts of England and Wales. But changes in woodland management, farming practices, loss of hedgerows and the fragmentation of woodland have all taken a heavy toll on their living space. Their nationwide monitoring scheme keeps a close eye on how dormice are doing. They have over 25 years of records painstakingly collected by hundreds of volunteer monitors that guide our actions to save dormice. Their reintroduction programme has so far covered 12 counties at 22 sites. 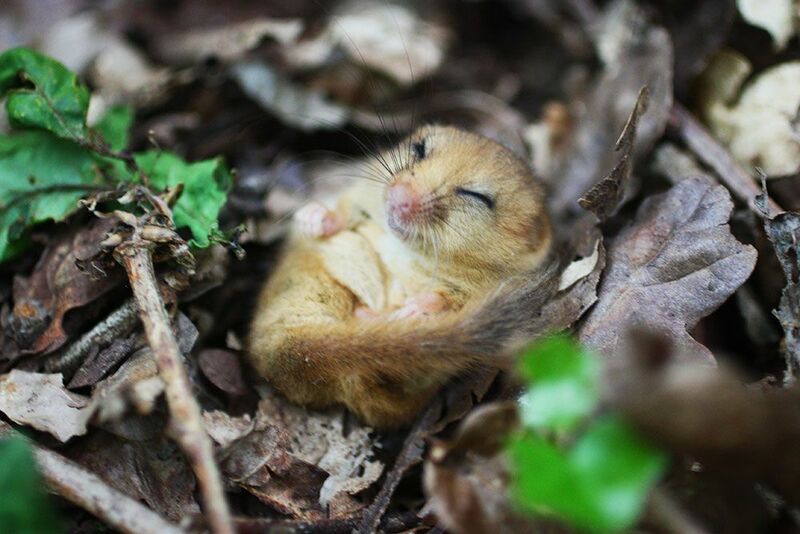 They have reintroduced over 900 dormice over the years back to areas where they had become extinct. They regularly check how they are faring and how far they’ve spread and advise on dormouse-friendly land management. It is so important to manage woodlands and hedgerows appropriately, so PTES provide training and guides for woodland managers and others looking after the land. Image from PTES website - Caught in broad daylight: a rare photograph of a mountain hare found at its favourite night haunt: heather burn. The Peak District mountain hares depend on healthy moorland: thriving on a diet of heather and grasses and seeking cover amongst deeper vegetation and rocks. They live in an isolated vulnerable population. Direct threats to them include heavy traffic on several major trunk roads, hunting and persecution. The busy road system that bisects the moors may act as a barrier to dispersal and small scale gene flow. Climate change is also a threat - increasing fire risk; wetter autumns can create feeding and shelter challenges for young leverets; severe winters can bring about a thaw-freeze, where a layer of snow can freeze solid, making it difficult for a hare to dig through to find food. PTES are establishing an in-depth study to understand the sustainability of the present group of mountain hares in the Peak District. It’s hard to estimate the numbers of hares: they tend to lie low under deep vegetation. So they are assembling a new, novel combination of techniques, including line transect observational surveys, deployment of remote cameras and a drone camera. These methods also provide a good opportunity to evaluate hare and habitat associations and the effects of human infrastructure. Genetic material will be obtained either from material such as dung samples or carcasses. This data will then be used to construct demographic models (including for example hare hotspot maps) for investigating how the mountain hare population may respond to changes in land-use, levels of persecution, interaction with brown hares, and also considering different climate change scenarios within the Park. The results of these demographic models will help to provide advice on protecting the existing present population, whilst identifying which are the most important population parameters to be prioritised for future hare reintroductions and population supplementations. Shop with us and help save hedgehogs, dormice and mountain hares. At this time of year, hares are famous for their tendency to ‘box’ frantically with one another. Hares do this because they are now in mating season, with the males (bucks) seeking out any females (does) that have come into season. Once a common sight, it is thought that brown hares in the UK have decreased by up to 80% in the last century, largely due to loss of habitat, hunting and changes in agricultural practices. The mountain hare (pictured above) is the UK’s only native hare and was listed as “Near Threatened” in a recent review by the Mammal Society indicating that the species is of conservation concern in the UK. Mountain hare numbers on moorlands in the eastern Highlands have declined to less than one per cent of their initial levels, according to a newly published long-term scientific study. These numbers are horrifying and it is vital that we do all we can to help protect our hares. By purchasing any of our products featuring a mountain hare, you will be contributing to the important conservation efforts to help stop the decline of these beautiful mammals. We will donate 10% of every product to the People’s Trust for Endangered Species. Take a look at our Mountain Hare product range below. Bag will automatically be added to you order and £2 from each sale will be donated to the children’s charity Greenfingers. National Bat Helpline Volunteer - Photo taken from Bat Conservation Trust Website. It’s the end of another year and we are delighted to announce we have just donated over £300 to the Bat Conservation Trust. This money will be used to help fund the National Bat Helpline, which relies on the hard work and dedication of hundreds of volunteers. This includes bat carers who rehabilitate injured bats, roost visitors who help homeowners with bat roosts and volunteers that answer phones on the Out Of Hours (OOH) helpline in the summer. During 2017, 14,981 enquiries were received by the Helpline in total by phone, email and post. 2337 of these enquiries came through the OOH service. As a result of the help provided via the helpline, thousands of bats and their roosts are conserved each year. The service is available to anyone who is interested in or concerned about bats. The Helpline can be reached on 0345 1300 228 or via email between 9.00am and 5.30pm on weekdays all year round, with an OOH service provided during the summer by trained volunteers. We are very proud to be able to help fund such a wonderful charity and play an important role in bat conservation in the UK. Without our customers support this would not be possible, so to you we say a big THANK YOU! Photos above - brown long-eared bat and common pipistrelle bat, taken from Bat Conservation Trust website. You can help support the BCT by purchasing some of our bat gifts. We donate 10% of every sale to the BCT. 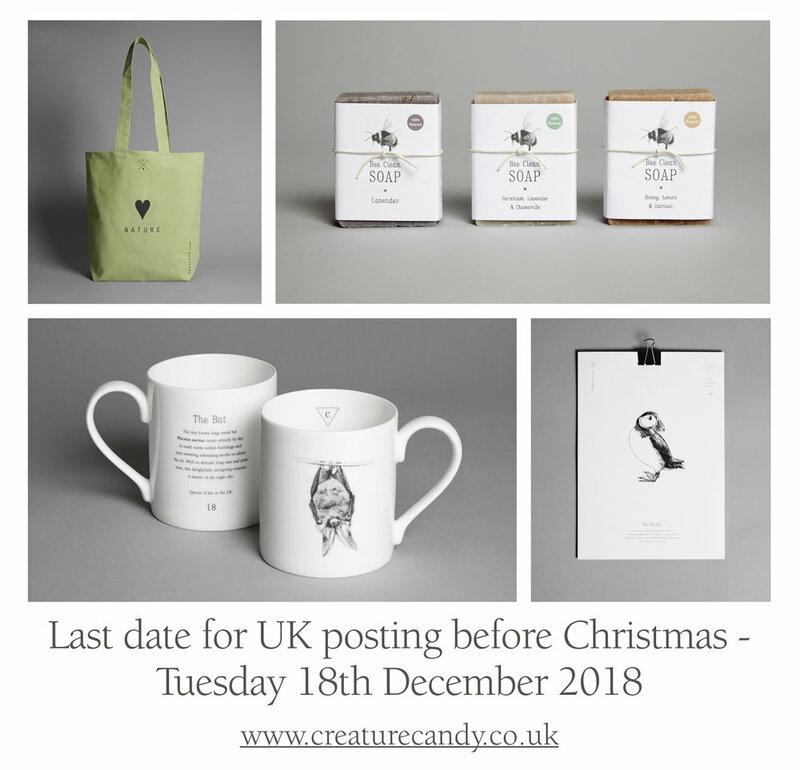 Order for Christmas 2018 before its too late! 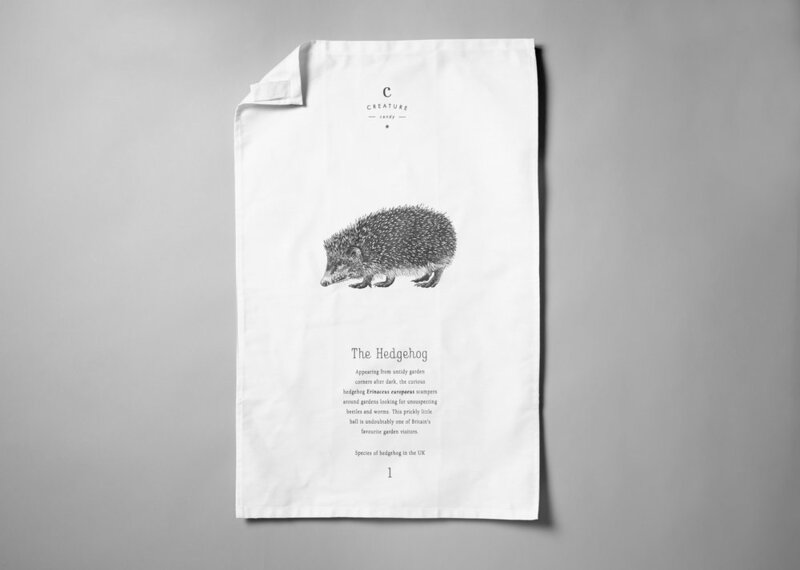 Why not help raise funds for hedgehog conservation by purchasing one of our hedgehog products? 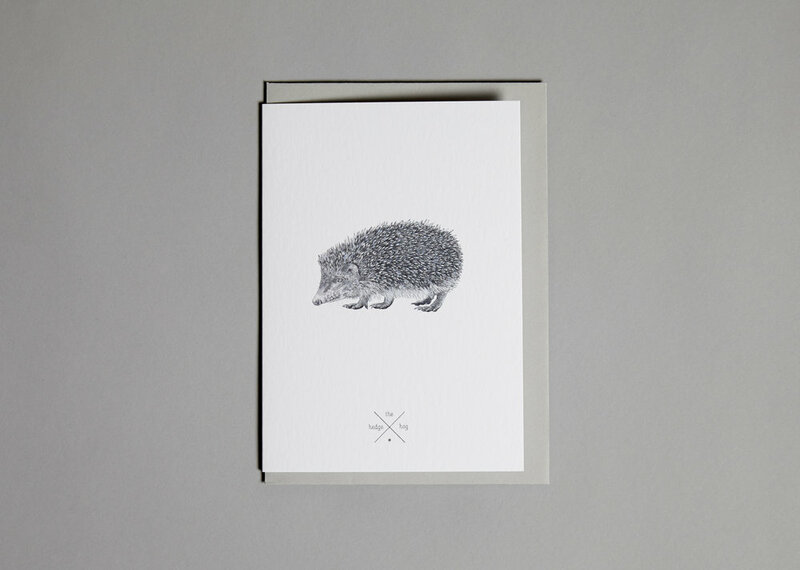 We donate 10% of all our hedgehog products to the People's Trust for Endangered Species. Reproduction occurs any time between April and September, but the period of greatest activity, ‘the rut’, occurs in May and June in Britain. The average litter size of four or five young, of which two or three are usually weaned successfully. As the name suggests they are often found near hedgerows, which provide ideal locations for nest sites, a good supply of invertebrates on which they feed, protection from predators and important movement corridors. During hibernation hedgehogs are not really asleep, instead they drop their body temperature to match their surroundings and enter a state of torpor. Hedgehogs usually hibernate from October/November through to March/April. Badgers are the principal natural predator of hedgehogs in the UK, as they are the only creature strong enough to overcome the spiny defences. We appear to have lost around 30% of the population since 2002 and therefore it seems likely that there are now fewer than a million hedgehogs left in the UK. 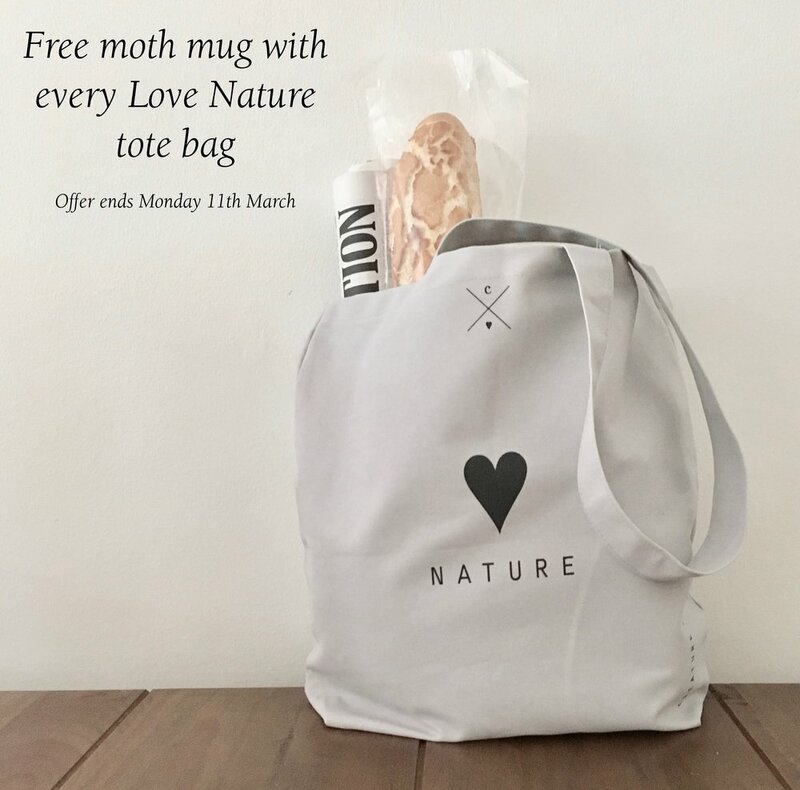 Our new tote bags are the perfect accessory for Spring and make a great Mothers Day gift too. 10% of the purchase price of these bags will be donated to the children's charity Greenfingers - a charity that creates gardens for children in hospices. Great little article in Gardener's World Magazine this month about creating a bug hotel. 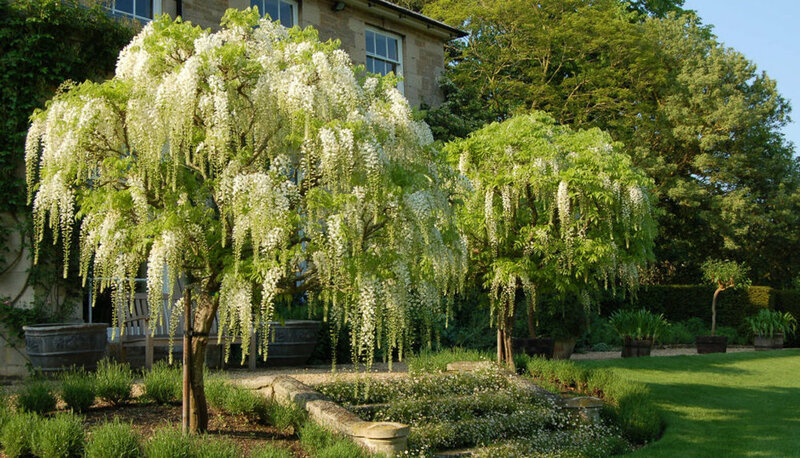 Look how beautiful they can look in your garden and you can get really creative. 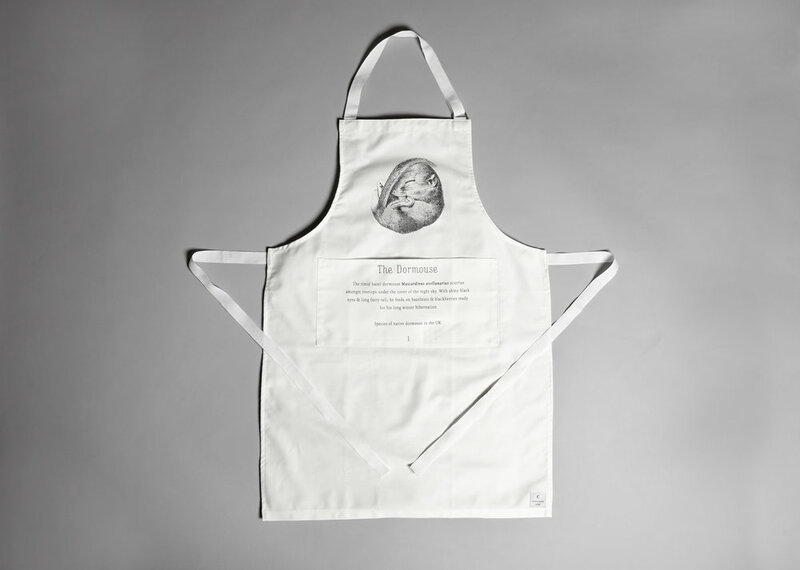 Offer Of The Week - 25% Off Dormouse Aprons! 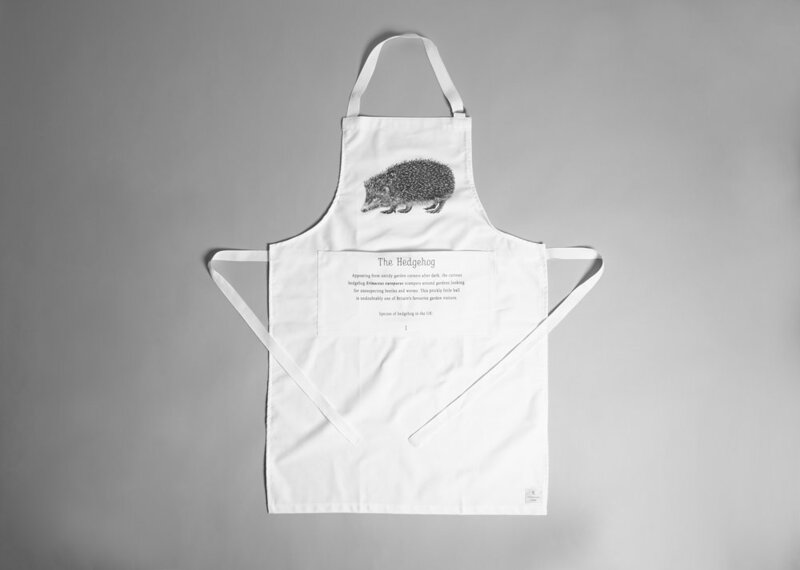 Dormouse aprons now only £18.75, with a donation of £1.87 given straight to the People's Trust for Endangered Species to contribute towards dormouse conservation. We have just started a new project to raise money for a new charity - Greenfingers. 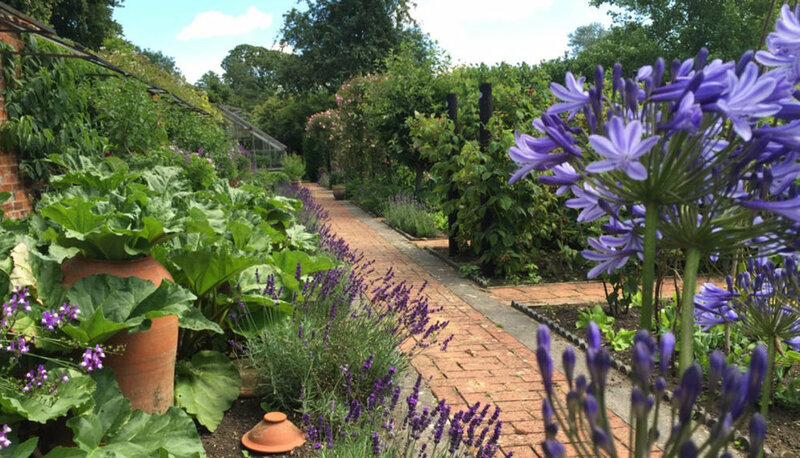 This is a brilliant charity that creates gardens for children in hospices, and provides places for them to spend time with their loved ones throughout their illnesses. Our wildlife product of the month for September is our wildflower seedballs. September and October are the perfect months to plant wildflowers, so why not create a wildlife haven in your garden and provide a valuable source of food for bees, butterflies and moths next year! 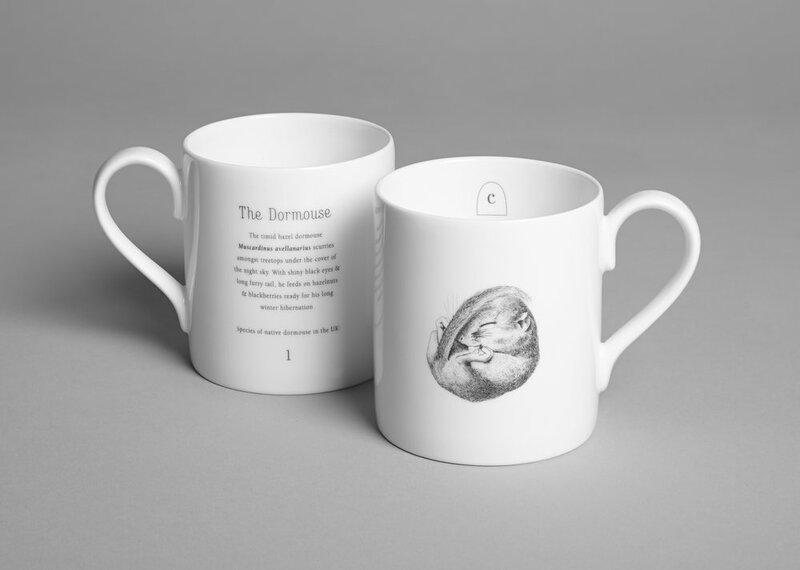 One of our new designs is the puffin, but did you know that this beautiful, charismatic bird has recently been added to the Red List due to a dramatic decline? Every month we will be choosing a wildlife product of month, to try to encourage more of you to turn your gardens into wildlife havens. This month we have chosen the bee brick by Green & Blue. We are supporting Bees for Development - a charity encouraging beekeeping in order to tackle poverty in developing countries. 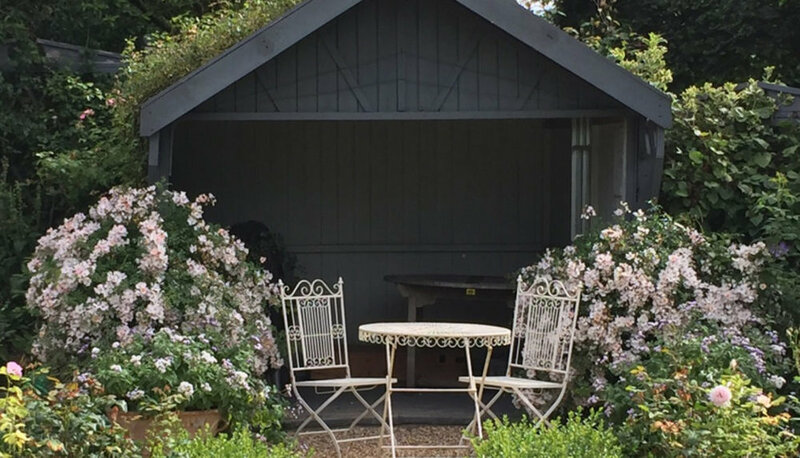 Bees for Development will be holding a Bee Garden Party in London on Thursday 29th June, which Creature Candy will be supporting by donating some of our products to help raise funds at the event.